Cam Lo, Quang Tri (18 August 2015): On Monday this week, U.S. 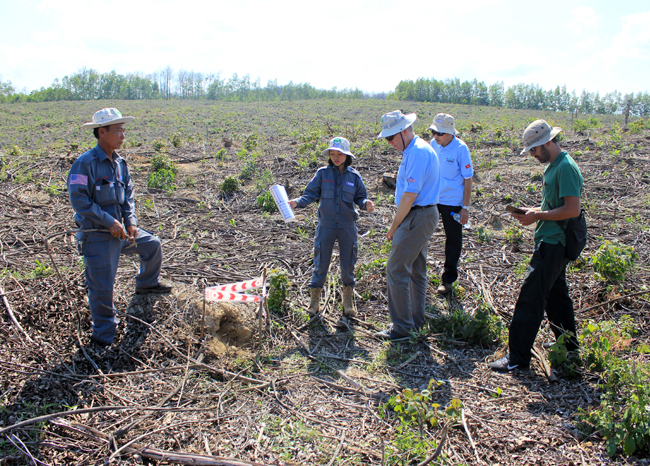 Ambassador to Vietnam, His Excellency Mr. Ted Osius and staff from the Embassy in Hanoi visited Project RENEW’s Cluster Munitions Remnants Survey (CMRS) operations in Quang Tri Province. 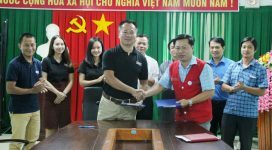 On a site in Xuan My Village of Cam Tuyen Commune in Cam Lo District, Ambassador Osius and his staff observed firsthand how the CMRS method permits RENEW teams to define the hazard accurately and generate a Confirmed Hazardous Area (CHA). 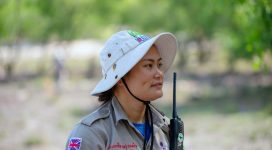 In partnership with Norwegian People’s Aid (NPA), Project RENEW’s teams for the first time are tasked to cover the entire province of Quang Tri with CMRS, which is an evidence-based survey system developed by NPA to address cluster munition contamination. The effort, funded by the U.S. Department of State, Office of Weapon Removal and Abatement, will see the province cleared of cluster munition contamination in next five years. CHAs defined by RENEW teams are migrated to the Database Unit at the Provincial Legacies of War Coordination which tasks available clearance NGOs to provide follow-up clearance. Since March 2014, clearance teams from Mines Advisory Group (MAG) have been clearing CHAs generated by RENEW / NPA teams. 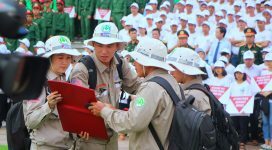 So far RENEW/NPA CMRS teams have surveyed 65 million m² in five districts of Hai Lang, Trieu Phong, Cam Lo, Dakrong and Vinh Linh, resulting in 427 CHAs consisting of 10 million m² being identified. In the process, 4,086 cluster bombs and other munitions have been safely destroyed.